At 978m above sea level, Scafell Pike is the highest mountain in England. The summit was donated to the National Trust in 1919 by Lord Leconfield “in perpetual memory of the men of the Lake District who fell for God and King, for freedom, peace and right in the Great War” and is England’s highest war memorial. known as the ‘Pikes of Scawfell.’) Nowadays the name Scafell Pike only applies to the highest of these peaks. Scafell Pike was originally called ‘The Pikes of Sca Fell’, describing both Broad Crag and Ill Crag, as well as Scafell Pike itself. The name change was caused by an error on an Ordnance Survey map and eventually ‘Scafell’ stuck. 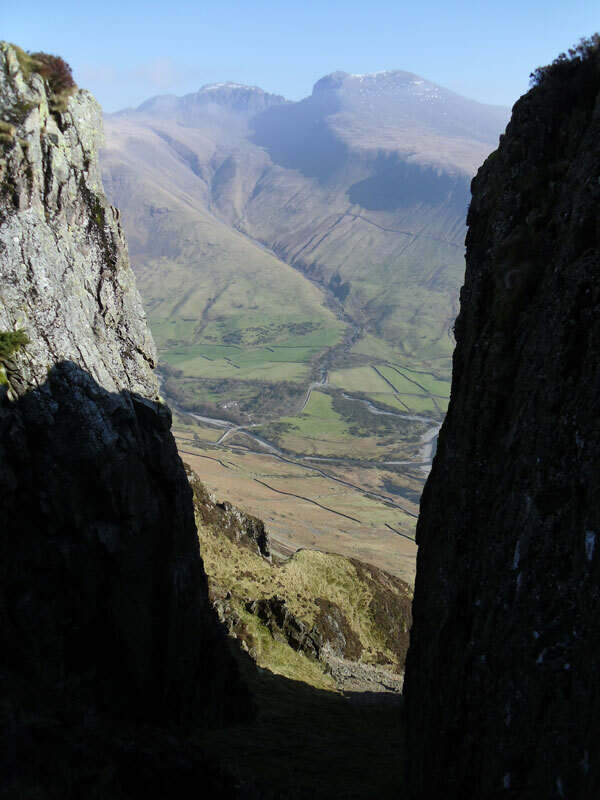 Wasdale is the birthplace of British mountaineering, an iconic farmed landscape and a popular gateway to England’s highest mountain Scafell Pike; a lofty 978 metres or 3210 feet. From the summit of Scafell Pike you can enjoy spectacular panoramic views and on a gloriously clear Lakeland day, you can see other peaks as far away as the Isle of Man. Wasdale also holds two upland, aquatic records. It is home to the highest standing water in England, known as Broad Crag Tarn; lying at about 820 metres or 2,700 feet, a quarter of a mile south of the summit, while Wast Water, England’s deepest lake descends to a mysterious 74 metres. Due to the complex nature of the terrain along with the variety of ways up and down, navigation can prove to be challenging on Scafell Pike. As a consequence, it is generally thought to be the most difficult out of the mountains in the three peaks challenge, especially when tackled at night. The summit forms part of the Scafell Pikes SSSI (site of special scientific interest) and is home to a variety of rare montane and arctic remnant species. The expanse of boulders on the plateau provides an excellent habitat for species of lichen, with rare mosses forming carpets in the sheltered gaps amongst them. This is the largest single habitat for some of these species in England. There are also higher plants who can weather the difficult conditions, amongst them dwarf willow and thrift. 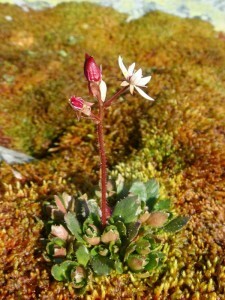 A series of steep gills along with difficult to reach ledges, provide a home for rare plants such as starry, purple and mossy saxifrage, along with alpine meadow rue. 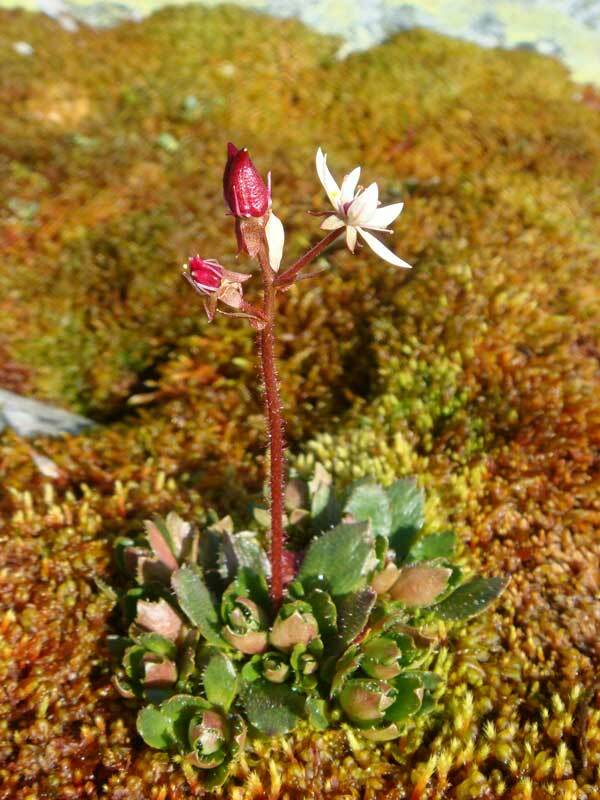 These damp, extreme habitats are nationally very rare and are amongst some of the best in Cumbria. The Massif is also home to a variety of birdlife. In the spring skylarks are common on the lower grassy areas, as well as other species like the ring ouzel, wheatear and peregrine. 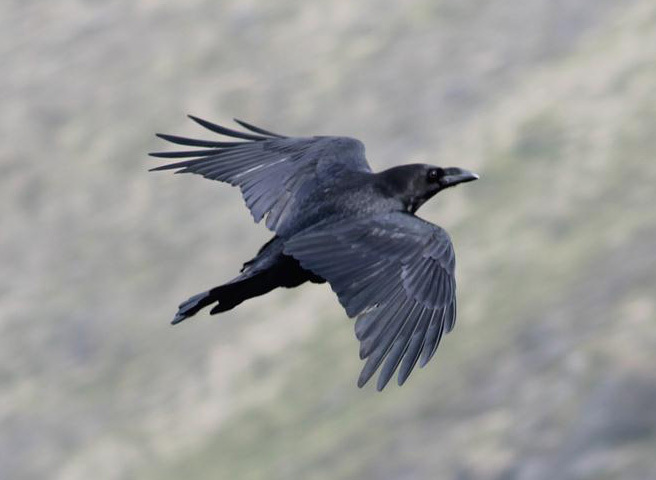 The long lived and intelligent raven also nests here and is part of the character of the mountain. The Massif was formed over 450 million years ago and is part of the Borrowdale Volcanics series of igneous rocks. The summit plateau consists of shattered rock debris is the highest and largest example of a boulder field in England. Scafell Pike is part of the Southern Fells, located within the Lake District National Park. Whether you choose to ascend Scafell Pike from either Wasdale, Borrowdale or Eskdale, this will determine which junction you exit the M6 motorway (J40 for Borrowdale or J36 for Wasdale and Eskdale). Always check your route before you travel, take along a road map and don’t rely on a Satnav to get you there. Take care on rural roads and be mindful of sheep and cattle. Please park at Lakehead car park (NY182 074) which is pay and display. Avoid parking on Wasdale village green. Look at our map for the location of Lakehead car park. Please remember Seathwaite is a tiny hamlet, the single track road is the only access for farm vehicles. Using the car park at Seatoller (CA12 5XN) eases pressure and every penny supports conservation work in Borrowdale. 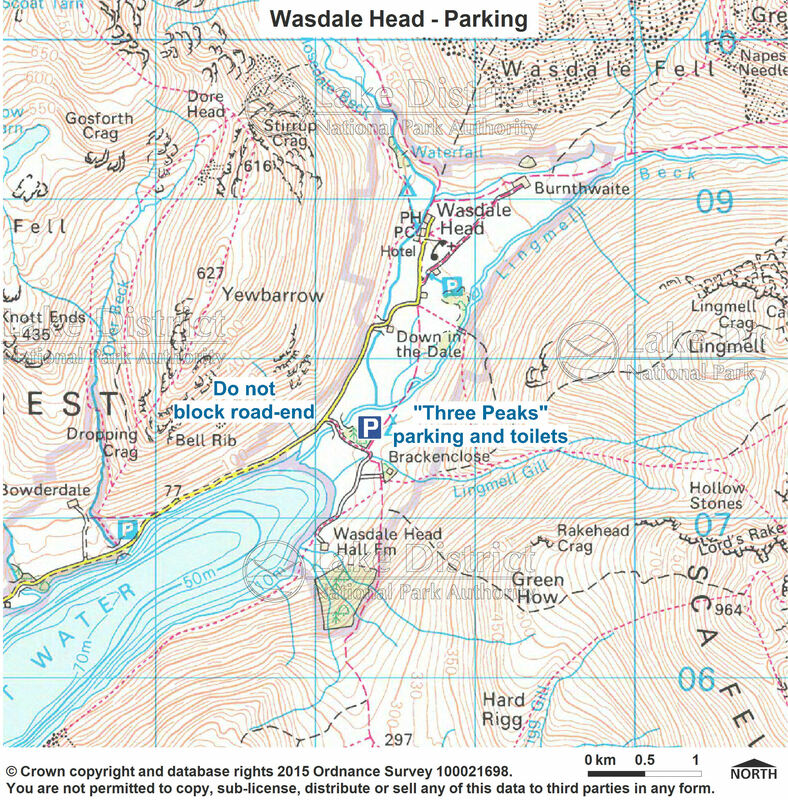 There are portaloos available at Lakehead car park and Wasdale green. All waste has to be transported out of this ecologically sensitive valley, so please try to go before you arrive. Please help us to keep these facilities as clean as possible for all our visitors. There is a public toilet available at Seathwaite farm. At present this is maintained by the local farmer, please keep the toilet tidy and litter free. For local weather advice please visit Weatherline. 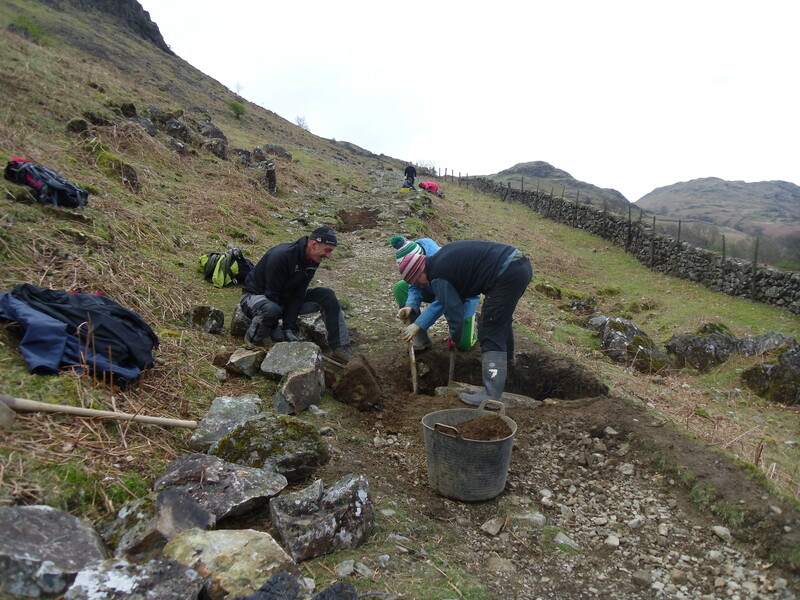 Did you know that it costs at least £12,000 a year to keep the drains clear and do some minor repairs to the paths up Scafell Pike? The current path cannot cope with the amount of people using it and, as a result, the mountain side is wearing away rapidly to the tune of £250,000 to fix! Please consider helping out by volunteering and/or donating as part of your challenge and put something back into the mountains.